High Performance understands the importance of enjoying the outdoors! Our deck cleaning service lets you enjoy a clean, algae-free deck and patio, adding even more enjoyment to your outdoor space. 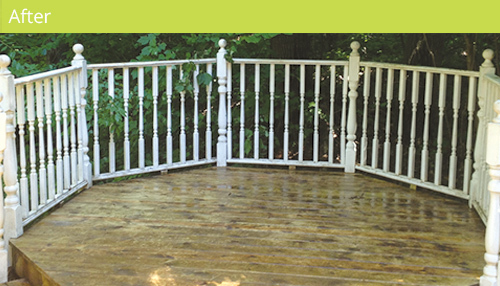 A clean deck is not only nicer looking, but safer as well. 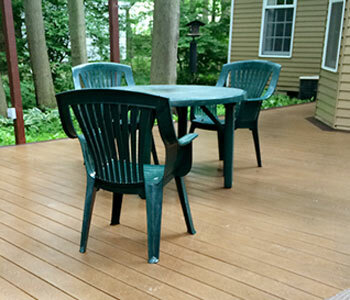 The professionals at High Performance Services know that there are many different types of deck materials used today. Different materials require different cleaning techniques. 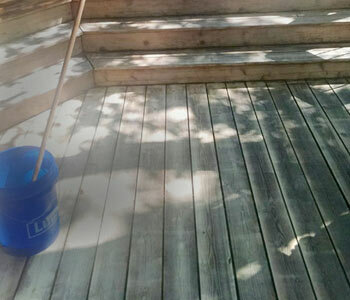 With our experience, we can choose the best type of cleaning for your deck. 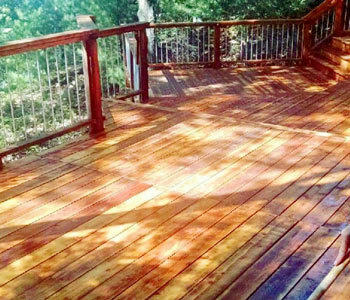 Once the deck has been cleaned, we can paint or stain your deck and seal it to keep it nice looking for as long as possible. With regular maintenance and cleaning, you can extend the life of your deck, giving you more time to enjoy spending time with family and friends out on your deck. Deck in need of fixes? 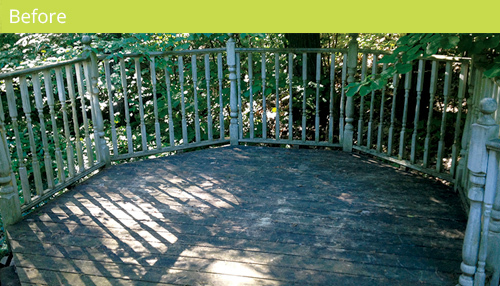 We repair broken railings, replace cracked or rotting deck boards and much more. 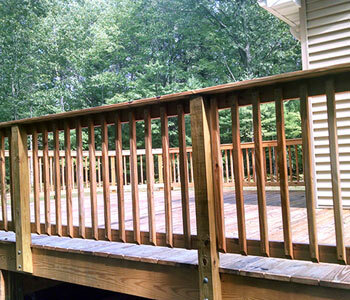 High Performance Services can make any repairs your deck may need. High Performance Services can build a high quality deck perfect for enjoying the outdoors and entertaining guests. Our team will work with you to determine the perfect size, placement and design of your new deck for a price you can afford.